Great emails aren’t blasted. They’re crafted. and storytellers create email campaigns that inspire action. We don’t just give you the tools to blast emails, we help you build one-on-one digital relationships. A good plan goes a long way. 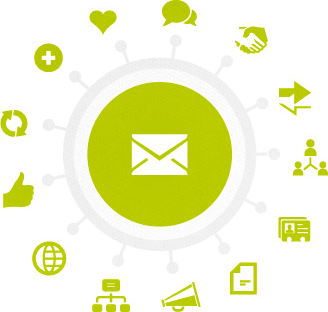 Your message, your audience, your timeline — we take all your particulars into account and craft the best email strategy to meet your needs. On top of that, we offer tools to help you deliver emails to targeted lists and keep track of the ways users interact with your messages to see what’s working best. 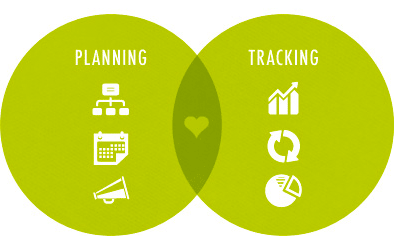 Strategy and accountability: we love it when good ideas come together. We combine beauty and brains. We have a team of designers ready to take your emails from plain to powerful. But we want your emails to be more than a pretty face: we want clicks. That’s why we mine data and develop campaign strategies to guide the design process from start to finish, customizing the work to fit your audience and their devices. Pretty smart, right? We’re always thinking outside the inbox. Email gets your audience thinking. Social media gets them talking. Why not integrate both? Our social media experts are ready to transition your message from email to a host of other platforms where your audience is already talking about what’s on their mind.